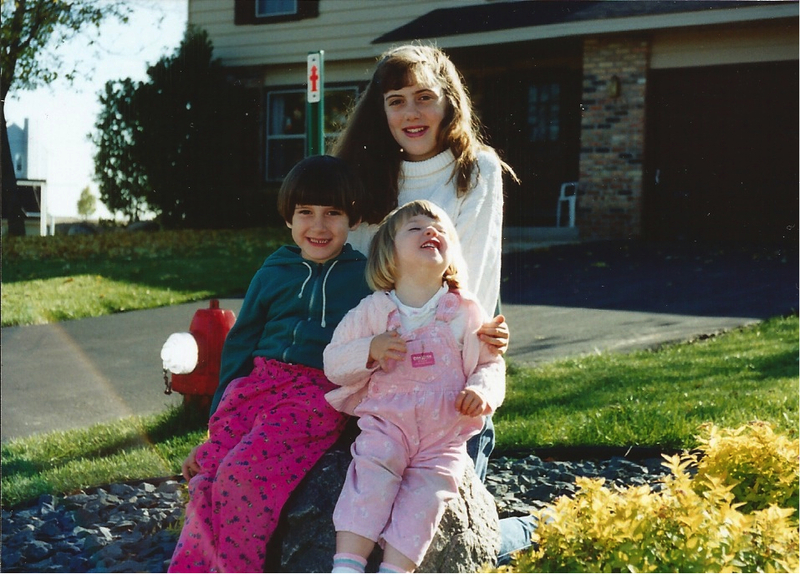 It’s my younger sister’s birthday today, and this post is in honor of her. Happy Birthday Abby! 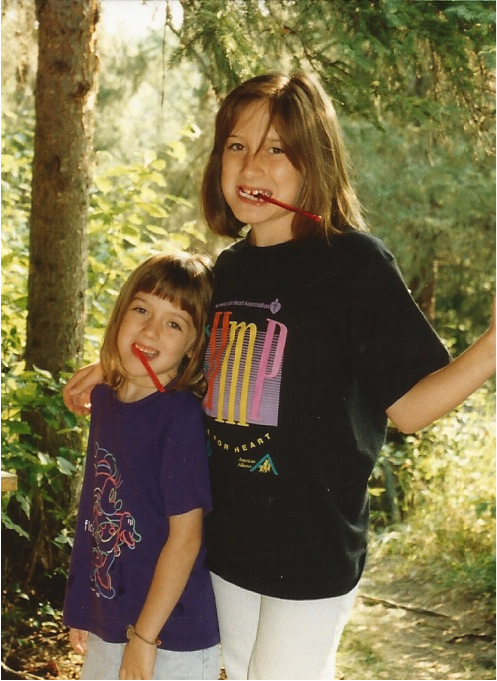 When we were little, Abby and I were inseparable. 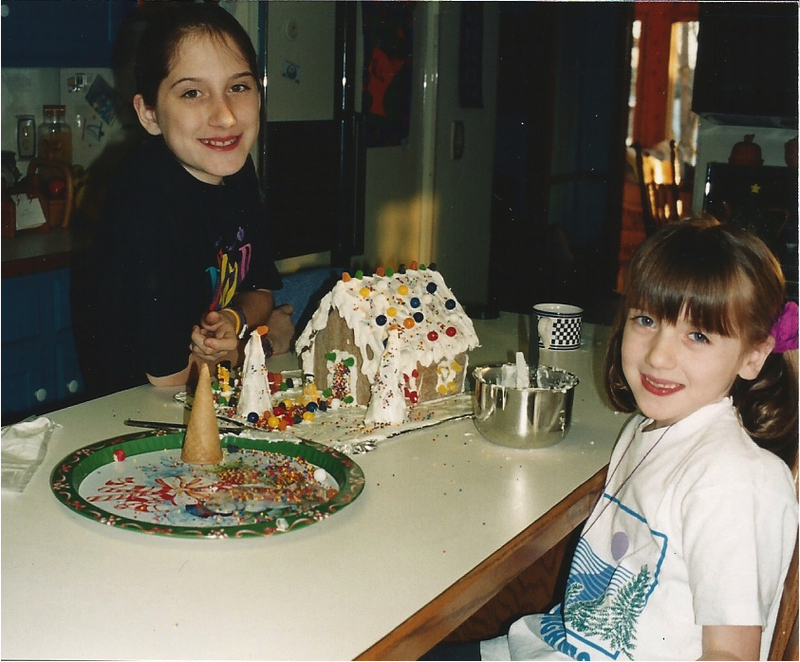 From playing dress up to making leaf houses, to throwing all of the couch cushions on the ground and playing “can’t touch the ground” for hours, Abby and I always had the best of times. She was my entertaining car companion on endlessly long road trips, and my car pool buddy to high school as we jammed out every morning to Jason Mraz. I cannot explain how lucky I am to have Abby as my sister. Her caring, thoughtful nature and incredible talent in everything she puts her mind to is inspiring. She is a dedicated hard worker, who also knows how to have a great time; Abby has mastered that perfect balance in life of work and play, a talent for which I strive to achieve every day. I admire her so much. Wait a minute, did I just say TWO cupcakes? Don’t normal recipes make 12 or even 24 cupcakes? Yep, you’re right, they do. But not this one! I stumbled upon this simple two cupcake recipe at a couple different tasty food blogs the other night, first at My Fair Baking, and then at How Sweet It Is, and I was immediately sold. I had to try them. Let’s face it, sometimes you’re craving a cupcake, but you simply don’t want to make 24. Who can eat 24 cupcakes?? OR, perhaps you don’t want to make a mess dirtying a million different bowls… this is also a very legitimate reason. Well, today I have the answer. 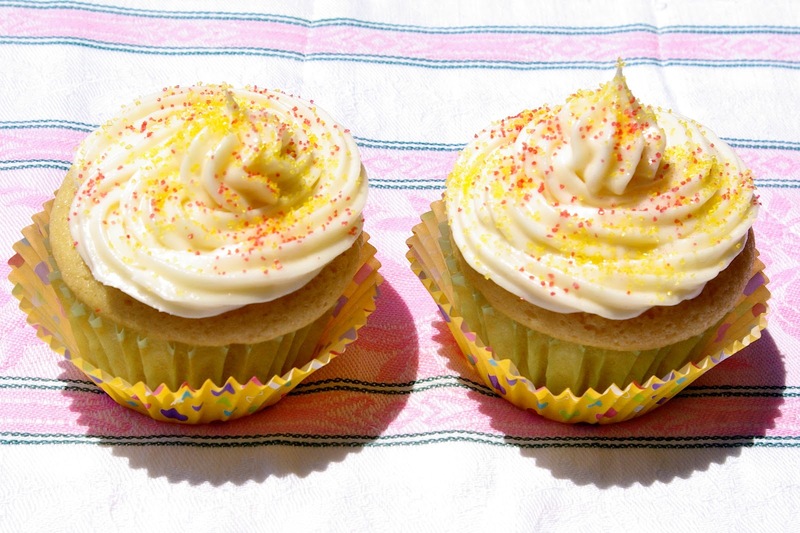 This recipe makes two delightful vanilla cupcakes in about 20 minutes… including the cooking time! You only dirty ONE bowl, and the results are delicious. 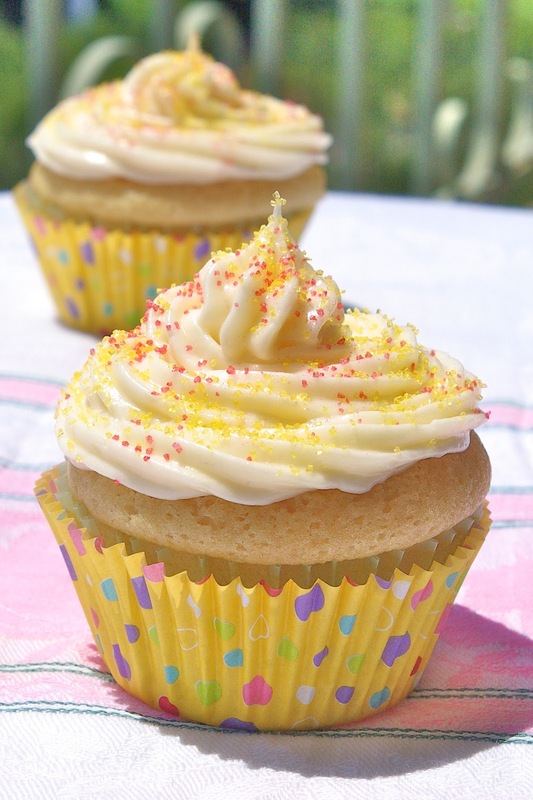 Vanilla-y, moist, and perfectly sweet, these cupcakes are sure to silence your sweet craving. Now, I would certainly NOT suggest waiting for a special occasion to make these cupcakes. After all, the recipe only makes TWO! In fact, I would recommend going to your kitchen, preheating your oven, and making them right now. Share one with someone you love, and enjoy. You wont be disappointed! What is your favorite birthday treat? Let me know below! Line a muffin tin with two cupcake liners. In a medium bowl whisk together sugar and softened butter until combined. Add in egg white, milk and vanilla. Continue whisking until smooth. Add flour, baking powder, and salt. Stir until just combined. Be careful not to over-mix to avoid a tough cupcake. Divide batter between two cupcake liners, filling about 2/3 full. 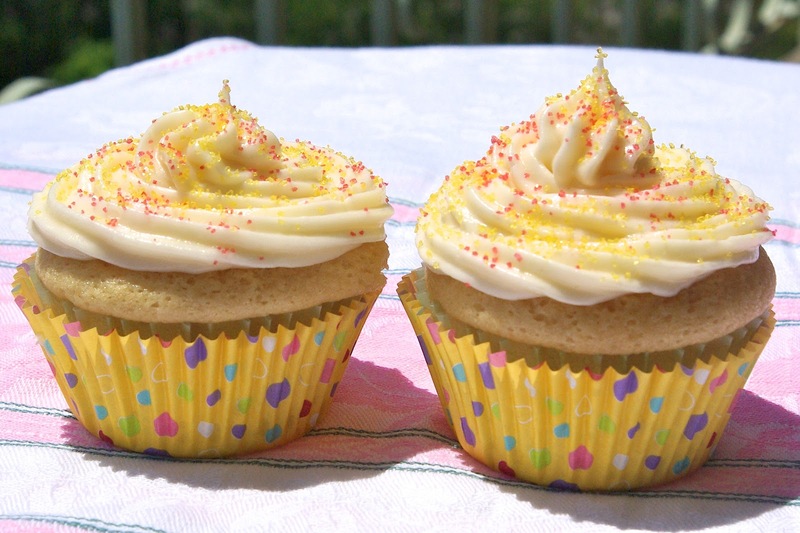 Depending on the size of your cupcake tins, you may have a little extra batter left over; either make an extra baby cupcake, or discard extra batter. Bake at 350 degrees for 15-18 minutes, or until lightly browned and a toothpick comes out clean. Watch this carefully, and be careful not to over bake. Cream Cheese Frosting – For Two! Using a hand mixer, cream together butter and cream cheese in a medium bowl until smooth. Add in powdered sugar and continue mixing until a creamy frosting forms. *If your frosting is too thick, you can add in a splash of milk, 1/2 tsp at a time, until desired consistency is reached. When I want to make two of something (two cupcakes or cookies for instance) I use a flax seed egg – that way I'm not wasting an egg. I know it sounds obsessive but I just CANT throw out food. It works just as well though. Happy Birthday to Abby! Also, I'm jealous of your frosting skills. You know, I've heard of using flax seed, but I have never tried it, nor do I know where to purchase it. I will have to find some and try it out! I agree about throwing out food, though…it is so wasteful. My friend had sent me a link that led to the How Sweet Eats site for 'One Bowl Vanilla Cupcakes'. I'm a first time baker, so I thought I should start off small instead of making a huge mess by making 24 cupcakes that were no good in the end. Anyways, I made a couple for my sisters, and apparently, they were a bit too eggy. So, I was skimming through the comments until I found your blog! I'm hoping the little changes, like using only 1/2 a egg white, will make them a bit less eggy-tasting! That's great! I hope they are less eggy for you! You'll have to let me know how they turn out 🙂 Thanks for your comment!